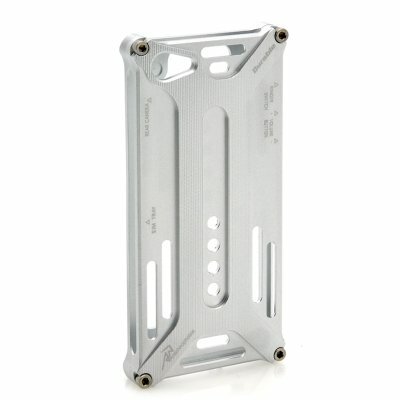 Successfully Added Case for iPhone 5 - Metal, Stealth Design (Silver) to your Shopping Cart. Case for iPhone 5 with a stealthy metal construction will protect your iPhone 5 from potential scrapes and is definitely an eye catcher! This silver metal case for your iPhone 5 has been crafted from metal and features 10x small rubber tabs to keep your iPhone secure and perfectly preserved! Fix this case to your iPhone 5 using the 4 well placed adjustable metal screws. 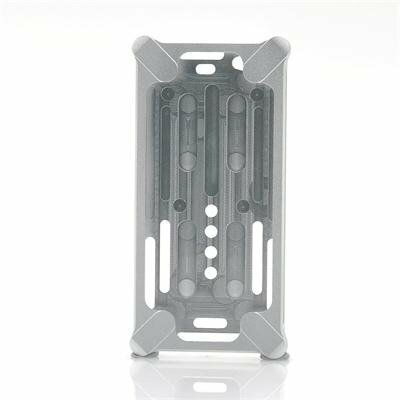 And this metal case although robust and handsome, will not add any noticeable weight or bulk to your precious device, so you will be able to slip it into your pocket and hold it in your hand with no issues.